Before trying any pool, make sure you know the rules and regulations for Birmingham (City and Borough) Swimming Pools as they may not be the identical as in your home town. We recommend you contact the pool directly to ask for those who will have to have a hat, and what type of footwear or certain clothing you will need. We probably do not know all the Swimming Pools in Birmingham (City and Borough). Are you missing any? Contact us!. 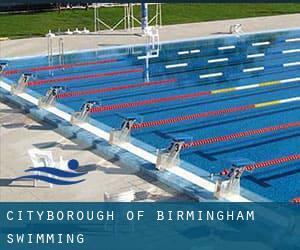 Most in the Birmingham (City and Borough) Swimming Pools offer both open lanes for independent swimming and also guided activities like water aerobics or Aquabike. Thanks to some new pools submitted by swimmers like you, Swimia.com is growing in the every day quantity of stored pools. Please don't hesitate to make contact with us if you get any Birmingham (City and Borough) Swimming Pool with inaccurate or incomplete information. Are you a regular swimmer? Have you ever practiced Aquagym in Birmingham (City and Borough)? Let us know!. Swimming is a sport for all ages. It helps young people to tone their muscles and grow healthful and robust. For the elderly, there's no greater solution to exercise than finding a Birmingham (City and Borough) Swimming Pool to escape from every day routine. If you're tired of having eyes and irritated skin, finding a saltwater pool in Birmingham (City and Borough) can be the remedy. You ought to understand that the level of salt from these pools is nicely below the level of salt from sea water, specifically they are talking about a tenth or less. There are countless alternative treatments to chlorination, with excellent benefits that make sure better water quality within the pool. A single possibility may be the mineralizer, which purifies water naturally and significantly decreases the chemicals made use of and maintenance time. Try Chlorine Free pools in Birmingham (City and Borough). One of the advantages of outdoor swimming in Birmingham (City and Borough) is the possibility to sunbathe in the course of the summer season. Taking it with added care, sunbathing is healthy since introduces Vitamin D into the body, so the right alternative seems to be switching amongst indoor and outdoor pools depending on the season. Enjoy the best indoor pools in Birmingham (City and Borough) and don't worry about the weather. These facilities are open all seasons and you can enjoy a swim at the same temperature every day of the year. There are several causes why you'll want to choose a heated swimming pool in Birmingham (City and Borough). Probably the most very important one relies on the significance of keeping the body temperature stable. When the water is too cold, your body will try to warm it up and you will lose strength to swim properly. Updated on 2019 Bristol Road South , Northfield , Birmingham , England , UNITED KINGDOM (Postal Code: B31 2PD). Among all the activities supplied by the centre, if you are enthusiastic about swimming you can enjoy 33.3 yards, 5 lanes, Indoors. If it is advisable to contact this Swimming Pool, e-mail address and phone number are both number. Woodcock Street , Aston Triangle , Birmingham , England , UNITED KINGDOM (Postal Code: B 4 7ET). Among all the activities supplied by the centre, when you are interested in swimming you can expect to appreciate 25 yards x 9.75 meters, 3 lanes at all times (slow, Indoors. If you will need to contact this Swimming Pool, email address and phone number are both number. Vicarage Road , Kings Heath , Birmingham , England , UNITED KINGDOM (Postal Code: B14 7QJ). Among all of the activities supplied by the centre, in case you are thinking about swimming you may enjoy 25 meters, 4 lanes, Indoors. 20 Ashbrook Drive , Rubery , Rednal , Birmingham , England , UNITED KINGDOM (Postal Code: B45 9FN). Among all the activities offered by the centre, if you are considering swimming you are going to appreciate 25 meters x 6 meters, Indoors. Just in case you need to make contact with this Pool just before dropping by, we only know the phone number. Mason Road , Erdington , Birmingham , England , UNITED KINGDOM (Postal Code: B24 9EJ). This sports centre gives 25 meters, 6 lanes, Indoors. Contact information and facts for this Swimming Pool similar to phone number and e-mail address are number. Updated on 2019 Alcester Road South , Kings Heath , Birmingham , England , UNITED KINGDOM (Postal Code: B14 6ER). This sports centre offers 25 meters, 4 lanes, Indoors. Contact knowledge for this Swimming Pool such as phone number and email address are number. 69 Alcester Road South , Kings Heath , Birmingham , England , UNITED KINGDOM (Postal Code: B14 7JG). Among all the activities provided by the centre, for anybody who is thinking about swimming you will take pleasure in 20 meters x 8 meters, Indoors. If you might want to contact this Swimming Pool, email address and phone number are both number. Shirley Rd. , Acocks Green , Birmingham , England , UNITED KINGDOM (Postal Code: B27 7NS). Among all the activities offered by the centre, should you be interested in swimming you will take pleasure in 25 meters, 4 lanes, Indoors. If you need to contact this Pool, email address and phone number are both number. Stratford Road , Sparkhill , Birmingham , England , UNITED KINGDOM (Postal Code: B11 4EA). Among all the activities provided by the centre, when you are interested in swimming you will take pleasure in 30 meters, 5 lanes, Indoors. If you must get in touch with this Swimming Pool, email address and phone number are both number. Without a shadow of a doubt, swimming in Hay Mills may be the greatest way to unwind after work. Take a couple of minutes to browse Swimia's catalog to find a Pool in Hay Mills. Moseley is one of the primary cities of Birmingham (City and Borough), so it's should really be easy to find Swimming Pool in Moseley. You're running out of excuses to swim, so don't wait anymore and go for it! 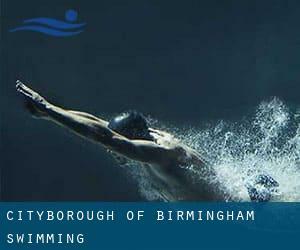 Swimming is usually a wonderful idea to keep your body active in the course of your visit to Bartley Green (Birmingham (City and Borough)), or even if you are a local. Swimia helps you to find your closest Swimming Pool in Bartley Green. It's difficult to visit Birmingham (City and Borough) with out dropping by Birmingham (with 984.333 residents). Currently Swimia is showing you all the Swimming Pool in Birmingham along with the closest pools located in its vicinity.